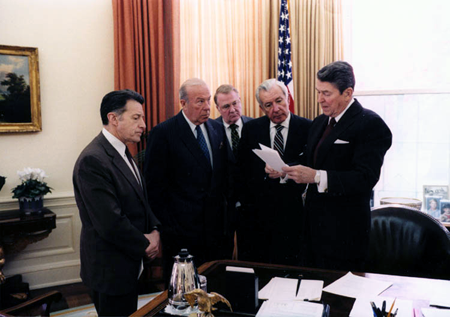 USAs daværende præsident Ronald Reagan sammen med Caspar Weinberger, George Shultz, Ed Meese, og Don Regan. Præsidentens bemærkninger om Iran-Contra-affæren debatteres i Det hvide hus, 25. november 1986. Billedkilde: Ronald Reagans Bibliotek. Iran Bastan Museum ; National Museum of Iran 1937-. Irans historie kan opdeles to to perioder: før og efter Islans indførelse. Det Akkadiske imperium / Akkadian Empire ca. 2350-2200 f.Kr. Det assyriske imperium / Assyrian Empire. Achæmenide-dynastiet, Seljuk Sultanatet 1037-1194. Elamite imperiet, herunder Isfahan. Persien, Khorasan, Kurdistan, Tabaristan. 1. The Persepolis Fortification Archive. Se også: Carsten Niebuhr ; Ernst Herzfeld. The Treasury Of Persepolis And Other Discoveries In The Homeland Of The Achaemenians. / : Erich F. Schmidt. - Chicago: University of Chicago Press, 1939. Iran var besat af Sovjetunionen og Storbritannien under anden verdenskrig, 1941-1945. Den kurdiske Mahabad republik1946. Abrahamian, Ervand: A history of modern Iran. Cambridge University Press, 2008. Online. Russia And The West In Iran (1918-1948) (1949). Nationaliseringen af olieindustrien 1951. Britisk sagsanlæg mod Irans nationalisering af olieindustrien ved Den internationale domstol i Haag. Dommen, den 22 Juli 1952, tillader nationaliseringen, fordi domstolen ikke mente, at den havde kompetance til at dømme i sagen: The Anglo-Iranian Oil Company Case. Sagsdfremstilling, elektroniske primærkilder : Other Documents Submitted to the Court, Part III. Militærkuppet i 1953: Operation Ajax. CIA Clandestine Service History, "Overthrow of Premier Mossadeq of Iran, November 1952-August 1953," March 1954, by Dr. Donald Wilber. Washington, D.C., March 7, 2018 – Senior Iranian clerics reportedly received “large sums of money” from U.S. officials prior to the August 1953 coup against Prime Minister Mohammad Mosaddeq, according to a contemporaneous British document located by researchers at the U.S. National Archives. It is posted in full today for the first time by the nongovernmental National Security Archive, based at The George Washington University. Also featured in today’s posting is a version of The Battle for Iran, one of three internal CIA histories produced about the coup. Like the British memo, the document has been released before but with heavy excisions. The CIA reviewed Battle again and declassified substantial portions of it in response to a Mandatory Declassification Review request by the National Security Archive. The role of clerics is one of the remaining unanswered questions surrounding Mosaddeq’s ouster. More specifically, it is uncertain whether religious figures obtained funds from the West – and if so whether they knew the source of those funds. The records published today provide further information on that and other topics, which will continue to be matters of intensive debate. Stephen R. Weissman: Why is US withholding old documents on covert ops in Congo, Iran? In: Christian Science Monitor, March 25, 2011. Washington, D.C., June 15, 2017 – The State Department today released its long-awaited “retrospective” volume of declassified U.S. government documents on the 1953 coup in Iran, including records describing planning and implementation of the covert operation. The publication is the culmination of decades of internal debates and public controversy after a previous official collection omitted all references to the role of American and British intelligence in the ouster of Iran’s then-prime minister, Mohammad Mosaddeq. The volume is part of the Department’s venerable Foreign Relations of the United States (FRUS) series. Mohammad Mosaddeq and the 1953 Coup in Iran. 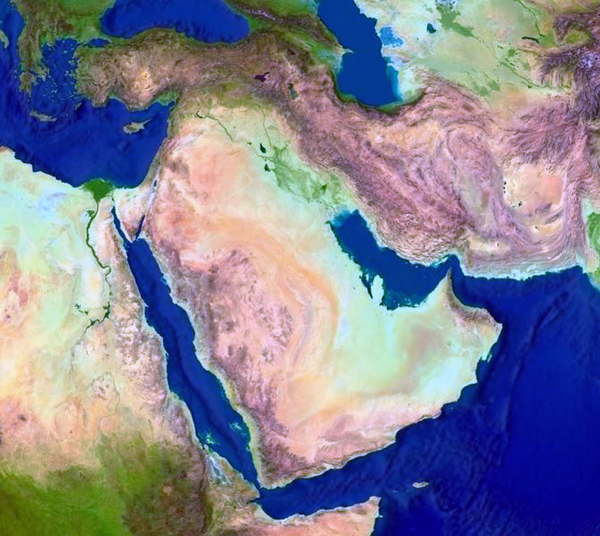 Edited by Mark J. Gasiorowski and Malcolm Byrne : New Volume Reexamines a Seminal Event in Modern Middle Eastern History : A Joint U.S.-British Regime-Change Operation in 1953. Rahimpour, Reza: Hadet til USA blev grundlagt i 1953 : For 50 år siden styrtede CIA et spirende demokrati i Iran for at bremse nationaliseringsbølgen i Mellemøsten. I stedet tog fanatiske religiøse kræfter over og hadet til USA voksede. I: Information, 08/15/2003. Shahen eller kongen af Iran, Mohammad Reza Pahlavi (1953-1979). I løbet af den enevældige fyrstes regeringsperiode foretog Iran omfattende indkøb af våben, specielt i USA. Anthony Sampson: Våbenhandel, 1978. Efterretnings- og sikkerhedstjenesterne SAVAMA og SAVAK : Elektroniske primærkilder: National Security Archive: Iran: The Making of U.S. Policy, 1977-1980. Den islamiske revolution 1979. De iranske studenters besættelse af den amerikanske ambassade i Teheran i 1979. Carterdoktrinen 1980. Iran-Contraskandalen, 1985, 1986, 1987. Towerkommissionnen 1986. Danske skibes transporter af våben til Iran 1986. U.S. policy toward Iran : hearing before the Committee on International Relations, House of Representatives, One Hundred Fourth Congress, first session, November 9, 1995 (1996). Ældre fremstillinger af Persien og Irans historie: Persia, from Xerxes to Alexander. This study, which appeared as Chapter 1 in Volume 6 of the Cambridge Ancient History [Macedon 401-301 B.C.] (Cambridge, 1933), was written by the renowned Hellenist W. W. Tarn. Chapter 1 "Persia, from Xerxes to Alexander" includes: 1. Xerxes and His Successors; 2. The Enterprise of Cyrus; 3. The Battle of Cunaxa; 4. The Retreat of the Ten Thousand to Trapezus; 6. The Ten Thousand from Trapezus to Pergamum; 7. The Great King and the Satraps; 8. Artaxerxes III and the Reconquest of Egypt. Sykes, Percy Molesworth, Sir: A history of Persia (1915) I-II. India Persian boundary commission (1870-172): Eastern Persia, 1876. Washington, D.C., July 14, 2015 - Four decades ago - in the mid-1970s - U.S. and Iranian officials haggled over a range of concerns that uncannily prefigured similar clashes that surfaced prior to today's history-making nuclear accord between the P5+1 governments and Iran, according to documents posted today by the National Security Archive at www.nsarchive.org. The documents from the 1970s record the Shah of Iran's insistence that his country had "rights" under the Nuclear Nonproliferation Treaty (NPT) to develop such a program. The Shah further claimed his interest was only in peaceful activities, and cited among other justifications the need to be able to compensate for the eventual decline in Iran's oil reserves. The current Iranian government, whose predecessors overthrew the Shah in 1979, has propounded the same arguments. For their part, Obama administration officials have expressed concerns - echoed far more sharply by opponents of a deal - about the threat of proliferation inherent in any agreement that allows Iran to develop nuclear energy resources. 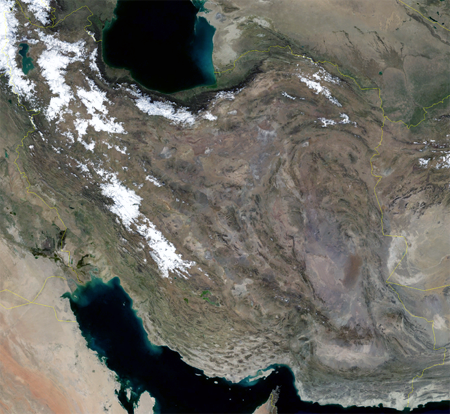 Doubts have also sprung up from many quarters in recent years that Tehran's aims are purely peaceful, and skepticism is even more rife about the Islamic Republic's claim that it needs to address the fact that its oil resources are finite. As during the Ford and Carter years, worries about nuclear weapons being available for supporting terrorism have hampered the current talks. Today's posting draws heavily on previous National Security Archive electronic publications compiled and edited by William Burr whose archival research and Freedom of Information Act / Mandatory Declassification Review requests over the years have steadily broken new ground on this critical subject. The descriptions for the 1970s documents below are edited versions of material produced by Dr. Burr. For purposes of comparison and permanent access, this posting also includes the text of the July 14, 2015, Iran - P5+1 agreement and official remarks by President Barack Obama, Secretary of State John Kerry, and Energy Secretary Ernest Moniz. Iran har modtaget bistand via den amerikanske Mutual Defense Assistance Act / den gensidige forsvarsbistandslov under Den kolde krig. Afghansk historie ; Albansk historie ; Algerisk historie ; Andorras historie ; Angolas historie ; Antigua & Barbudas historie ; Argentinsk historie ; Armensk historie ; Aserbajdsjans historie ; Australsk historie ; Bahamaøernes historie ; Bahrainsk historie ; Bangladesh historie ; Barbados historie ; Belgisk historie ; Belizes historie ; Benins historie ; Bhutans historie ; Boliviansk historie ; Bosnien-Hercegovinas historie ; Botswanansk historie ; Brasiliansk historie ; Britiske kolonier, mandatområder og protektorater ; Brunei Darussalamsk historie ; Bulgarsk historie ; Burkina Fasos historie ; Burundis historie ; Canadisk historie ; Cambodjansk historie ; Camerouns historie ; Centralafrikansk historie ; Chilensk historie ; Colombiansk historie ; Comorernes historie ; Congolesisk historie ; Costa Ricansk historie ; Cubansk historie ; Cypriotisk historie ; Dansk historie ; Dansk historisk bibliografi ; Den demokratiske republik Congos historie ; Djiboutis historie ; Dominicas historie ; Den dominikanske republiks historie ; Ecuadoriansk historie ; Egyptisk historie ; El Salvadoransk historie ; Elfenbenskystens historie ; Eritreas historie ; Estlands historie ; Etiopisk historie ; Fijis historie ; Filippinsk historie ; Finsk historie ; De forenede arabiske Emiraters historie ; Fransk historie ; Fransk Polynesiens historie ; Færøsk historie ; Gabons historie ; Gambiansk historie ; Georgiens historie ; Ghanas historie ; Grenadas historie ; Græsk historie ; Grønlandsk historie ; Guatemalas historie ; Guineas historie ; Guinea-Bissaus historie ; Guyanas historie ; Haitiansk historie ; Honduransk historie ; Hollansk historie ; Hvideruslands historie ; Indisk historie ; Indonesisk historie ; Iraks historie ; Islandsk historie ; Irsk historie ; Israelsk historie ; Italiensk historie ; Jamaicas historie ; Japansk historie ; Jordans historie ; Kap Verdisk historie ; Kasakhstanisk historie ; Kenyansk historie ; Kinesisk historie ; Kirgisistans historie ; Kiribatis historie ; Kosovoansk historie ; Kroatiens historie ; Kuwaits historie ; Laotisk historie ; Lesothisk historie ; Letlandsk historie ; Libanesisk historie ; Liberias historie ; Libysk historie ; Liechtensteins historie ; Litauens historie ; Luxembourgs historie ; Madagascars historie ; Makedonsk historie ; Malawis historie ; Malaysiansk historie ; Maldiviensk historie ; Malis historie ; Maltesisk historie ; Marokkansk historie ; Marshalløernes historie ; Mauretaniens historie ; Mauritiusk historie ; Mexicansk historie ; Mikronesisk historie ; Moldovisk historie ; Monacos historie ; Mongoliets historie ; Montenegros historie ; Mozambiques historie ; Myanmars historie ; Namibias historie ; Naurus historie ; Nepals historie ; New Zealandsk historie ; Nicaraguas historie ; Nigers historie ; Nigerias historie ; Norsk historie ; Nordkoreansk historie ; Omans historie ; Pakistansk historie ; Palaus historie ; Palæstinas historie ; Panamansk historie ; Papua Ny Guineas historie ; Paraguays historie ; Peruviansk historie ; Polsk historie ; Portugisisk historie ; Qatars historie ; Rumænsk historie ; Russisk historie ; Rwandas historie ; Salomonøernes historie ; Samoas historie ; San Marinos historie ; São Tomé & Principles historie ; Saudi-Arabisk historie ; Schweizisk historie ; Senegals historie ; Serbisk historie ; Seychellernes historie ; Sierra Leones historie ; Singapores historie ; Skotsk historie ; Slovakiets historie ; Sloveniens historie ; Somalisk historie ; Spansk historie ; Sri Lankas historie ; St. Kitts & Nevis historie ; St. Lucias historie ; St. Vincent & Grenadinernes historie ; Sudanesisk historie ; Surinams historie ; Svensk historie ; Swazilands historie ; Sydafrikansk historie ; Sydkoreansk historie ; Sydsudans historie ; Syrisk historie ; Tadsjikistansk historie ; Taiwanesisk historie ; Tanzaniansk historie ; Tchads historie ; Thailandsk historie ; Tjekkisk historie ; Togos historie ; Tongas historie ; Trinidad & Tobagos historie ; Tunesisk historie ; Turkmenistansk historie ; Tuvalus historie ; Tyrksk historie ; Tysk historie ; Ugandas historie ; Ukrainsk historie ; Ungarns historie ; Uruguays historie ; USAs historie ; Usbekistans historie ; Vanuatus historie ; Venezuelas historie ; Vietnamesisk historie ; Yemens historie ; Zambias historie ; Zimbabweansk historie ; Ækvatorial Guineas historie ; Østrisk historie ; Østtimorsk historie. UNESCO: History of Civilizations of Central Asia I-VI. Volume I: The Dawn of Civilization: Earliest Times to 700 B.C., eds. A. H. Dani and V. M. Masson (Paris, 1992). Volume II: The Development of Sedentary and Nomadic Civilizations: 700 B.C. to A.D. 250, ed. János Harmatta, co-eds. B. N. Puri and G. F. Etemadi (Paris, 1994). Volume III: The Crossroads of Civilizations: A.D. 250 to 750, ed. B. A. Litvinsky, coeds. Zhang Guang-da and R. Shabani Samghabadi (Paris, 1996). Volume IV: The Age of Achievement: A.D. 750 to the End of the Fifteenth Century, 2 vols., eds. M. S. Asimov and C. E. Bosworth (Part One, Paris, 1998; Part Two, Paris, 2000). - http://unesdoc.unesco.org/images/0012/001204/120455e.pdf Charles C. Kolb. Review of Asimov, M. S.; Bosworth, C. E., eds., History of Civilizations of Central Asia, Vol. IV: The Age of Achievement: AD 750 to the End of the Fifteenth Century, Part One: The Historical, Social and Economic Setting. H-Asia, H-Net Reviews. October, 1998. Volume V: Development in Contrast: From the Sixteenth to the Mid-Nineteenth Century, eds. Chahryar Adle and Irfan Habib, co-ed. Karl M. Baipakov (Paris, 2003). Volume VI: Towards the Contemporary Period: From the Mid-Nineteenth to the End of the Twentieth Century, co-eds. Madhavan K. Palat and Anara Tabyshalieva (Paris, 2005).